Trudi is a non-resident associate researcher at the University of Johannesburg's Centre for Competition regulation and Economic Development. 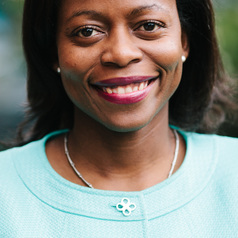 Trudi is CEO of Makhaya Advisory, a research, advisory and stakeholder engagement firm. The firm acts as a consultant and advisor on competition regulation, economic policy, business strategy and stakeholder relations. As an active public commentator, Trudi writes a column for Business Day. Trudi has also published academic articles on competition economics and policy. Trudi holds an MBA and an MSc in Development Economics from Oxford University, where she studied as a Rhodes Scholar. She also holds degrees from the University of the Witwatersrand, including an MCom in Economics and a BCom (Law).